Waterboss 900 Water Softener Review - Should You Go? Waterboss 900 Water Softener Review – Should You Go? It is more than important to know the water we are taking and to be sure whether it is safe and secure for drinking or not. We cannot control the water types we find at the places we live in and so it is common to come across areas whose water is filled with minerals and sometimes harmful ones. Sat is a common mineral among these, and so it is wise to have a plan to make the water safe by cleansing it, usually using modern methods like water softeners such as the WaterBoss 900 water softener. This water softener alleviated your worries about whether you might be taking minerals in water that you fear may be harmful to you and people you love. Aside from protecting you and your people from health hazards as a result of this water, you also guard you machines including washing machines, dishwashers, water heaters and faucets from curding. No one likes it when anything you do or any machine you use causes a mess, and you have to go clean after it every time. The process of softening water despite the fact that it gets rid of unwanted material, should not mess the whole place up with residue from the water that is of course disgusting. This is why the Waterboss 900 water softener is made with a built-in sediment filter that makes sure that the filtering happens yes but none of the filtered material makes sit out of the machine thus keeping everything clean and sparkling. A machine that takes up too much space in the house no matter how helpful feels like an intruder who is not wanted at all. It makes the house feel smaller and limits movement and freedom. 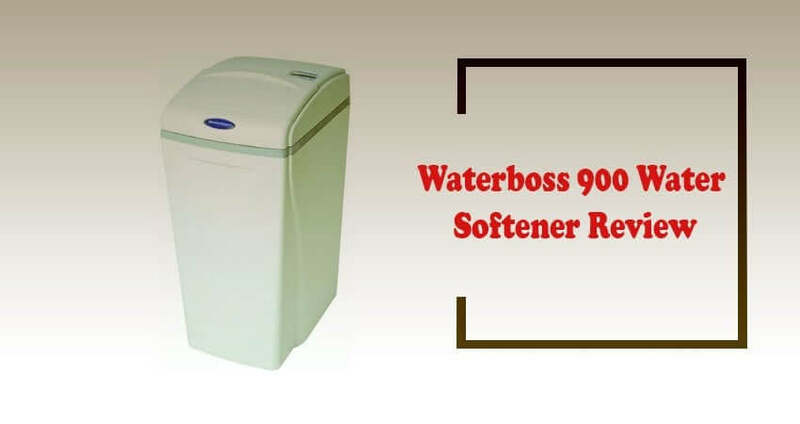 It, therefore, needs to be sizable in a reasonable manner just like the Waterboss 900 water softener is. This product is designed to be a size that will not be too big and cover excessive space. Thus making it convenient to have in the house without any worries. This product is performing their tasks work in tandem with other appliances like water heaters, showers and so forth. They, therefore, need to be made in such a way that the working of the water softener does not jeopardize these other appliances as they carry out their important functions. The Water boss 900 water softener is made to apply minimal pressure to appliances like the shower and others. Eco-friendliness and economy are factors we have to take into consideration in any operation we undertake be it machine wise or otherwise. It is wrong to use too much water if there is a way in which you could use less than that. The makers of this product were fully conscious of this fact, and as a result, it is designed to use less water compared to other water softeners in the market. It can be boring and frustrating to have a machine that needs constant checkup and maintenance. Aside from being energy sapping, it can weigh heavily on the pocket and heap bills on you that are unexpected and that you didn’t plan for. The dirt and sediment filter of the Waterboss 900 water softener is made to require little to no maintenance and in turn saving the owner so much on money and energy. Can this be installed outdoors? Can hot water run through this for my dishwasher? I have both hot and cold water running through the Waterboss. The tank is filled with water. What I’m I supposed to do when the tank had water in it? It is not an option to take care of our health, and as such, we need to take measures to ensure this is done and in the safest and best ways possible. This product provides the best option to filter your water and make it safe for home use. I would highly recommend this water softener to anyone looking to get a water softener; it is a great choice.